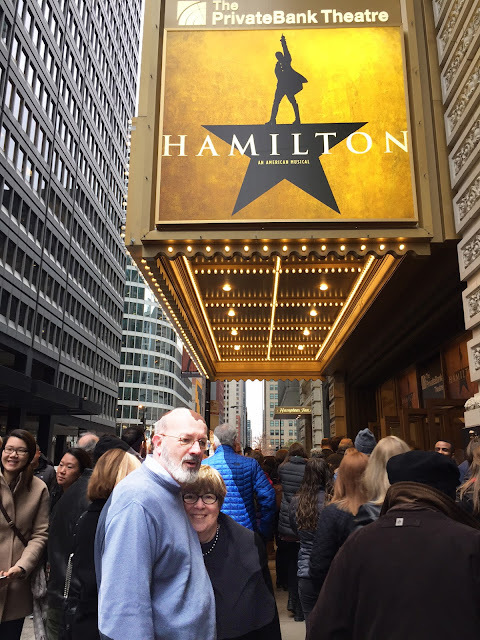 Okay, it is Thanksgiving, but the highlight was going to Hamilton with my whole family. We are all in Chicago for the weekend. Thursday we ate turkey, Friday we went into the city to see Hamilton, and Saturday we are basically hanging out. All 17 of us. We really haven't had any arguments because we agree on all the important points; we like turkey and we hate Trump. Here are some random shots of what it's like to have this many people together in one house.